Add a Facebook Like box to your site to encourage Likes. 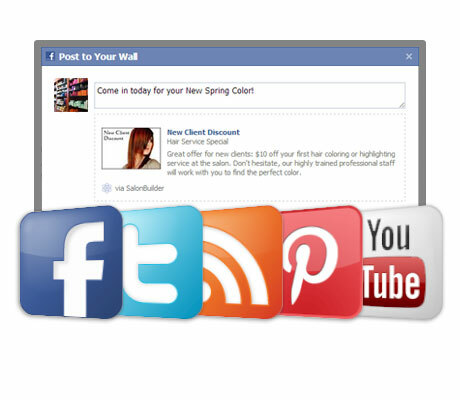 Use the Share Feature to promote your services, products and special offers on individual "share pages". Include Social Media Badges in your Email Blasts to clients. Use Social Media to market your website, sales and promotions! 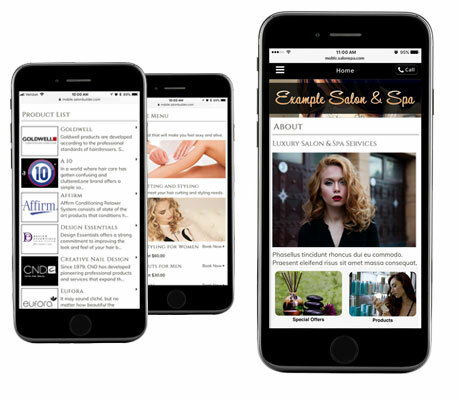 Free enhanced mobile site included with membership. Displays all your pages and information, syncs with your live site. High ranking search results on mobile devices. New customization options: Header, fonts, photos, etc. No additional fees for mobile sales/booking as long as you have the feature active with your membership. 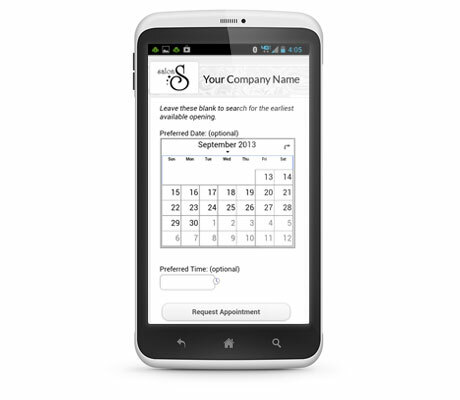 On-the-go booking gives your customers the convenience of making appointments anywhere, anytime. Mobile 'Just In Time' Gift Certificates are perfect for that last minute (on the way to the party) purchases.